Wondering which rain boots Kate Middleton wears? We can confirm they’re by Le Chameau. She wears the Vierzonord style in the colour “Vert”. Kate’s worn the rubber Wellington boots a number of times since joining the Royal Family in 2011. 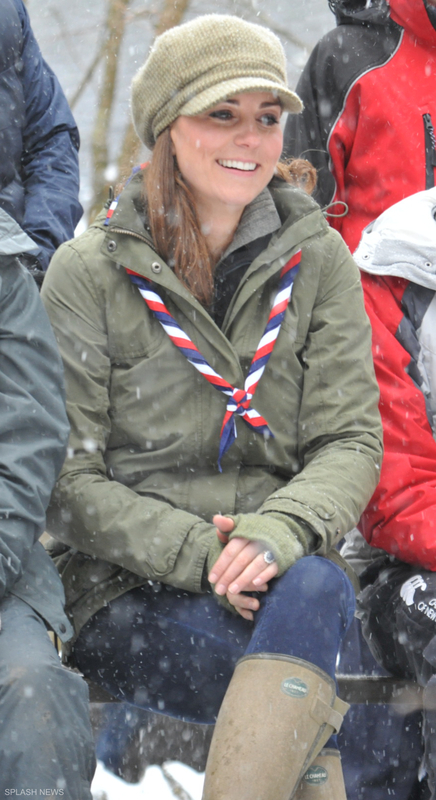 She regularly wears the Le Chameau wellies during public engagements on behalf of the Royal Family, including official visits with her local scouting group. We’ve spotted her wearing the wellies during off-duty moments too, such as watching her husband play polo in a muddy field. 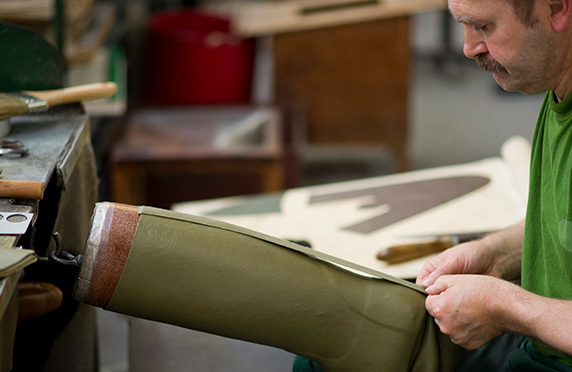 Each pair of Le Chameau boots is individually handcrafted by a master boot maker who uses only the highest quality rubber. The Vierzonord boots are finished with a 3mm neoprene lining for added comfort during cold winters (ideal for temperatures up to -15°C / 5F). The Vierzonord boots are part of Le Chameau’s “Vierzon” line. The company claim this line of Wellington boots were the first to feature a gusset strap that can be genuinely adjusted for a better fit. The Vierzonord boots feature an ergonomically designed calf that offers both support and comfort, plus the boot offers superior arch support with its reinforced shank. Even the soles are well designed; they’re created from double density rubber designed especially for frequent wear on all terrains. Did you know: the Vierzonord Wellington boots were first designed by Le Chameau nearly fifty years ago in France? You can purchase the Vierzonord boots from LeChameau.com. The company deliver to Great Britain, the United States and France. At the time of writing, the company offers free next day delivery in the UK. You can also purchase the boots from a range of other outlets, including Mastershoe. According to the managing director of LLC Ltd, which imports Le Chameau into the UK, the Vierzonord boots aren’t the cheapest on the market, but their “longevity means they offer excellent value for money” (source: The Telegraph). 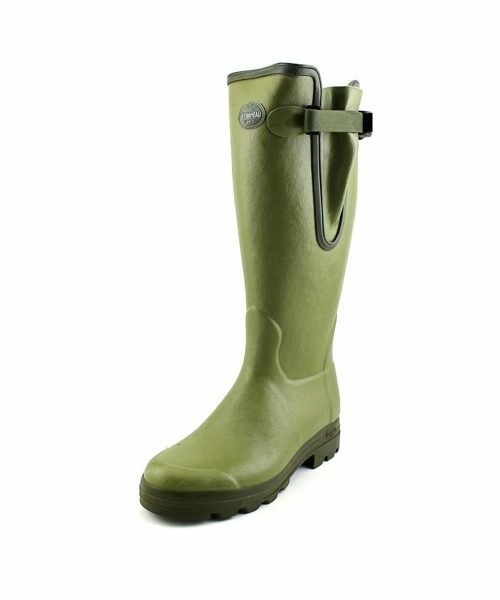 Le Chameau also produces another version of the rain boot that’s identical to the version Kate wears, but less expensive. It’s called the ‘Vierzon’ boot. Both styles are the same, except for one key difference: the cheaper version is lined with jersey instead of neoprene. The Vierzon boot is designed for mild weather conditions where temperatures don’t fall between 0°C / 32F. 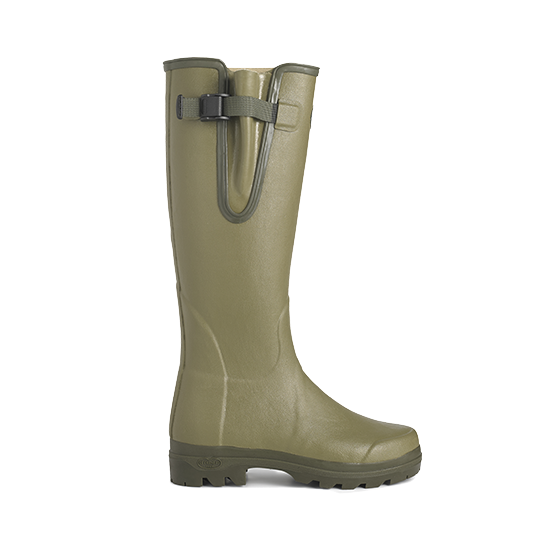 You can purchase the Vierzon style wellington boots from LeChameau.com (who deliver to the UK, USA and France). Le Chameau boots are frequently worn by the Royals because they are designed for country life, yet they balance functionality with style. 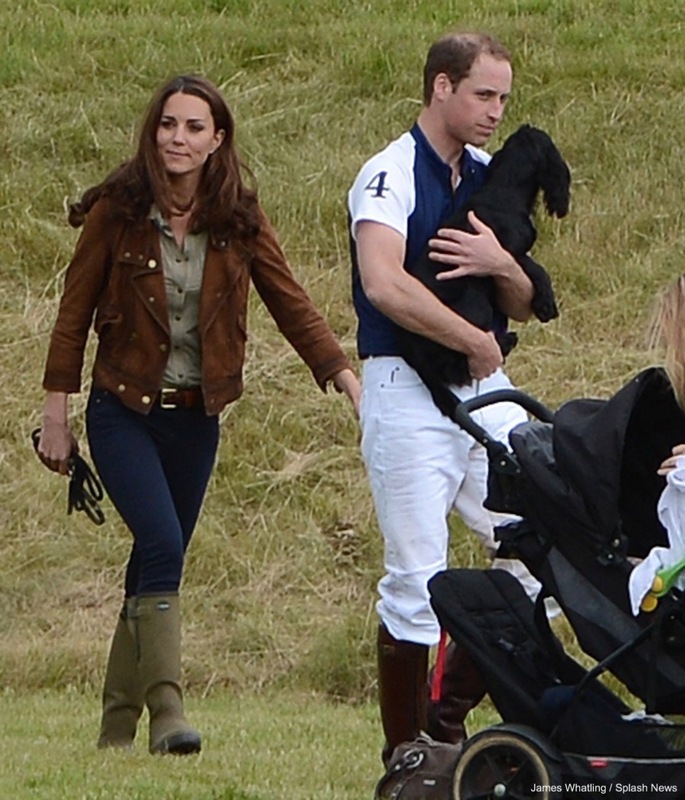 Like Kate, Prince Harry wears Le Chameau Vierzonord boots too!